For affordable, high-quality prescription contacts in Beverly, MA, visit Parrelli Optical. We strive to make it as easy as possible for you to get the quality eyewear that you deserve. Our location in Beverly is staffed by friendly, highly trained employees who are dedicated to helping you pinpoint the perfect contact lenses and glasses. Independent optometrists are also on hand and available to perform eye exams, so you can get an accurate prescription before selecting your contacts. Did you know that you can get contacts for any prescription? With that in mind, you will really enjoy shopping our selection of prescription contacts. Parrelli Optical is proud to offer all of today’s finest options. Whether you need single-vision contacts, bifocal contacts, gas-permeable contacts or another style, you will be able to get what you need for a very competitive price. • Thorough Eye Exams On Site – You don’t have to go elsewhere to get a prescription and then come here. We do it all. • Massive Selection – In addition to carrying a huge lineup of prescription contact lenses, we carry eyeglasses and sunglasses too. Our selection is truly exhaustive. • Experienced Advice – You don’t buy contact lenses every day, so you’re sure to have questions. The staff at Parrelli Optical is happy to answer them, and a member of our team will work with you to ensure that you find the pair that’s right for you. 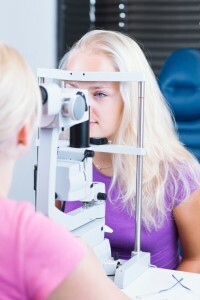 It pays to buy prescription contacts in Beverly, MA from proven experts. Parrelli Optical is the name to trust in the local area. We offer vision services for the whole family, and we are ready to supply you with high-quality prescription contact lenses for a very affordable price. Give us a call or stop by to see us today.